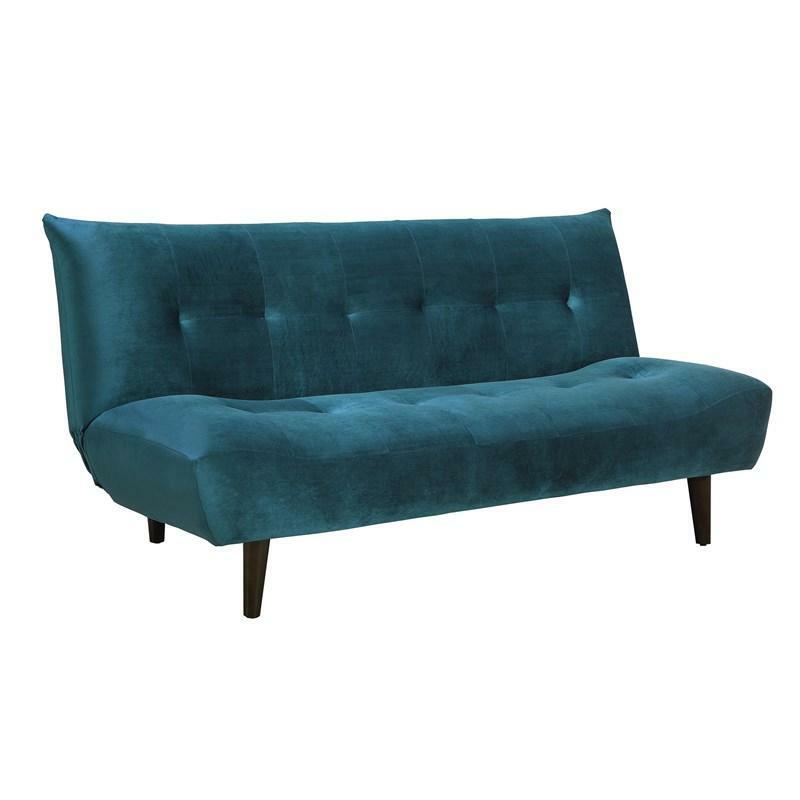 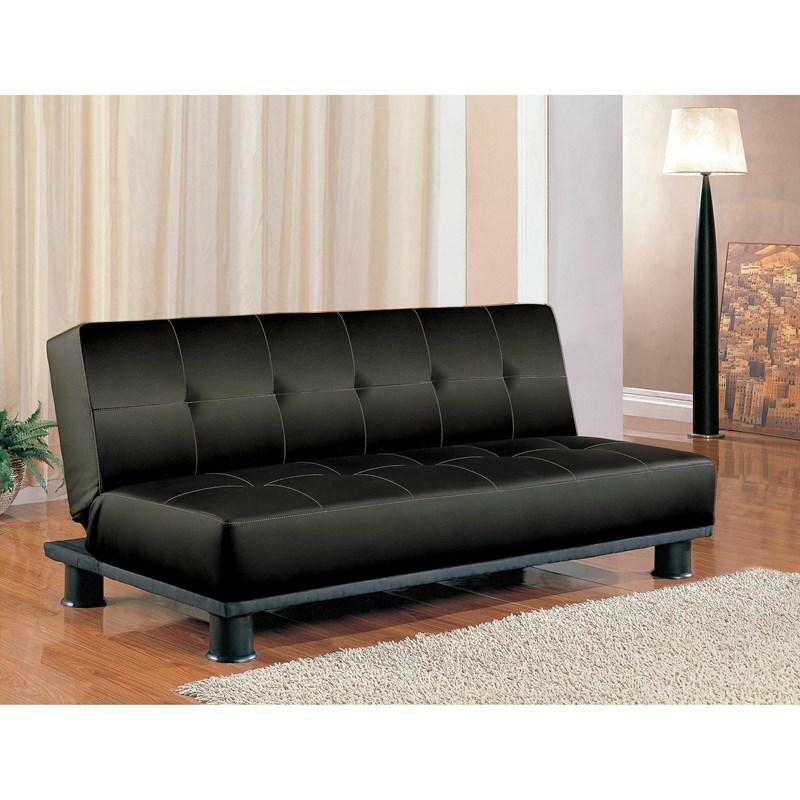 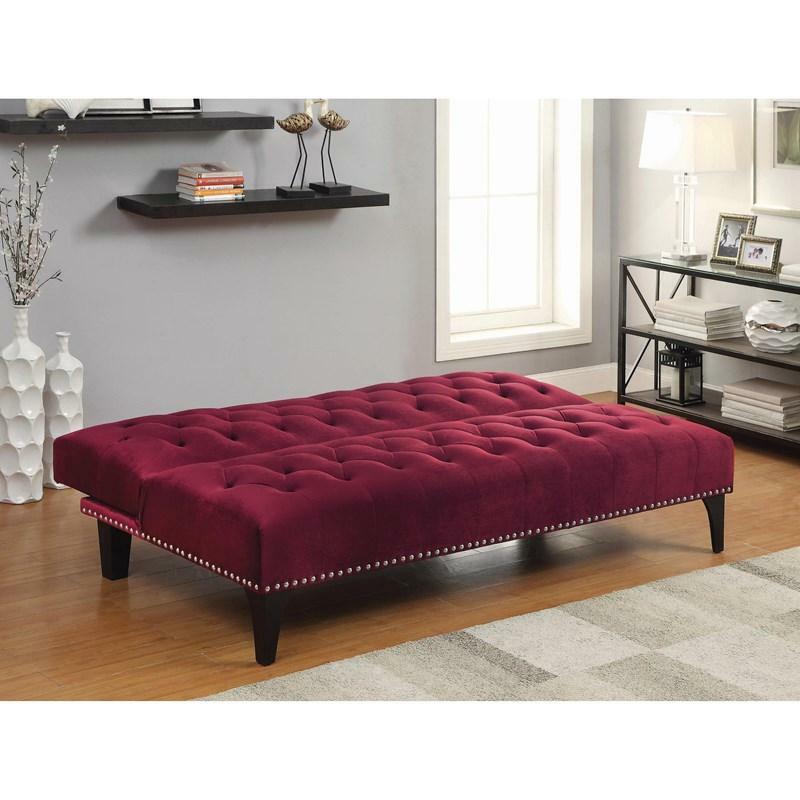 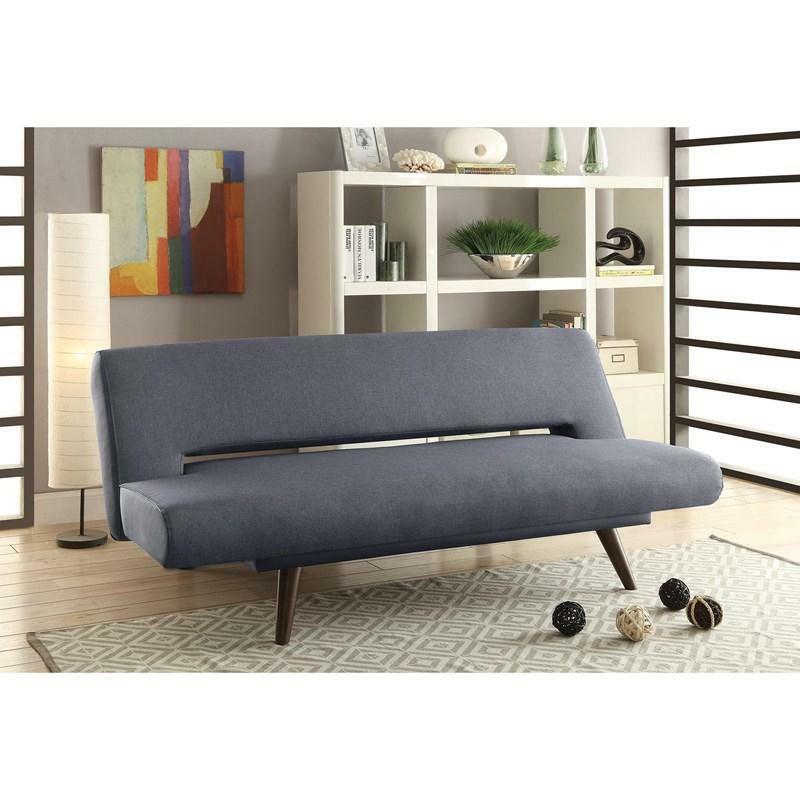 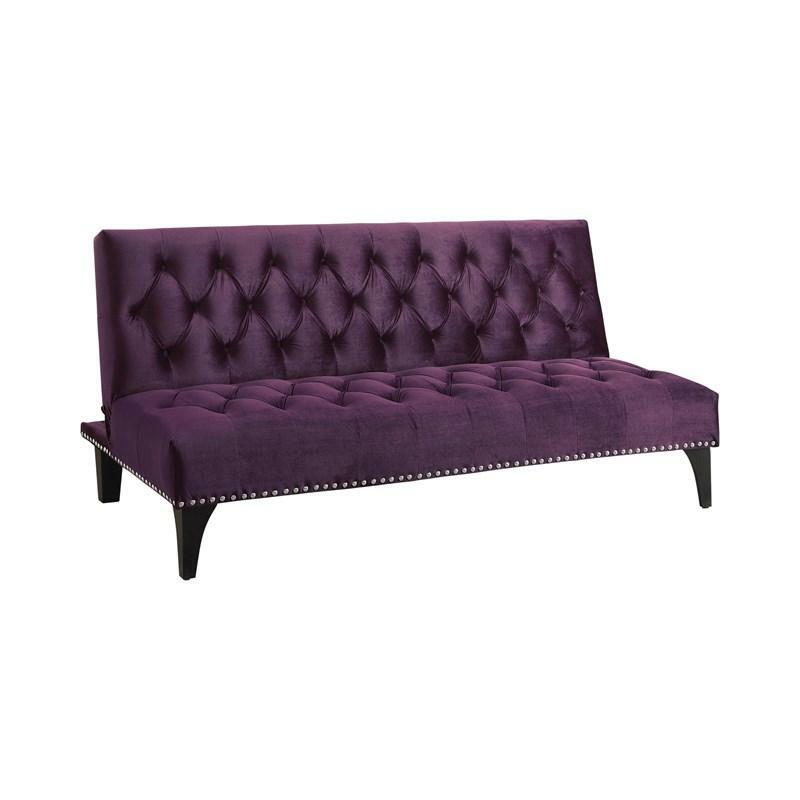 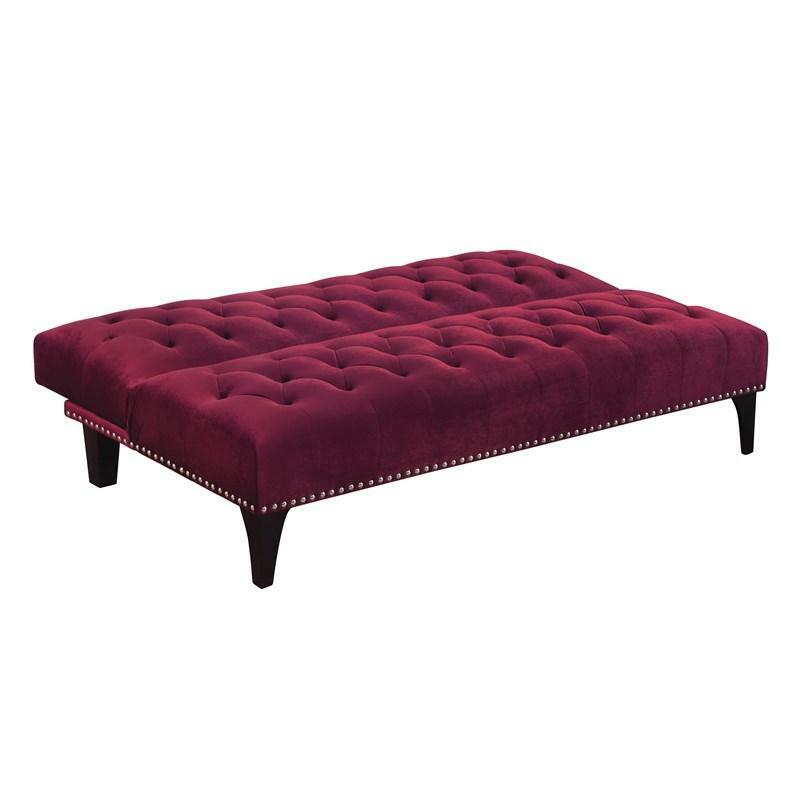 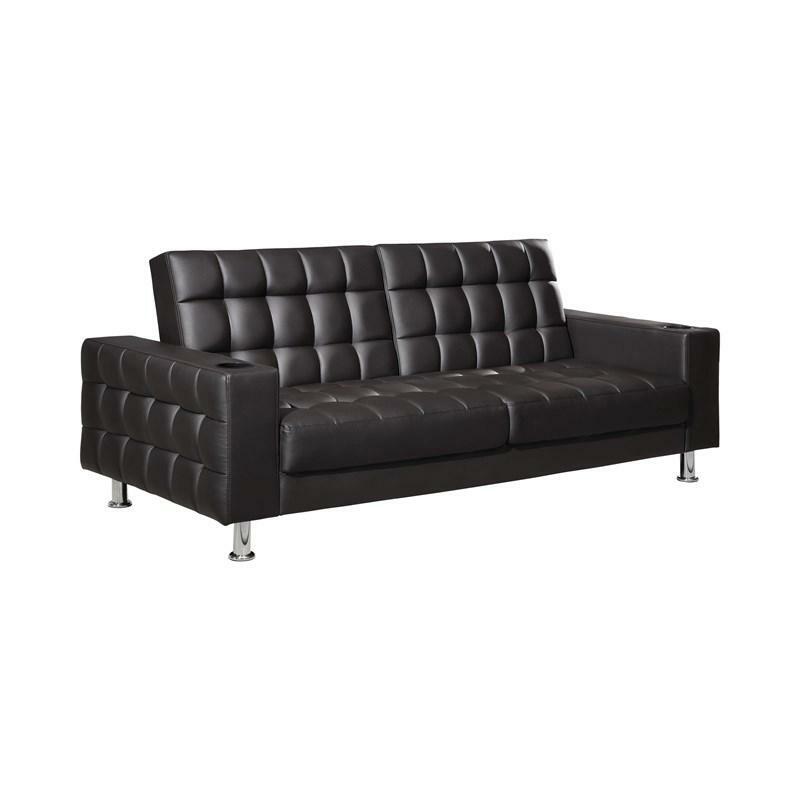 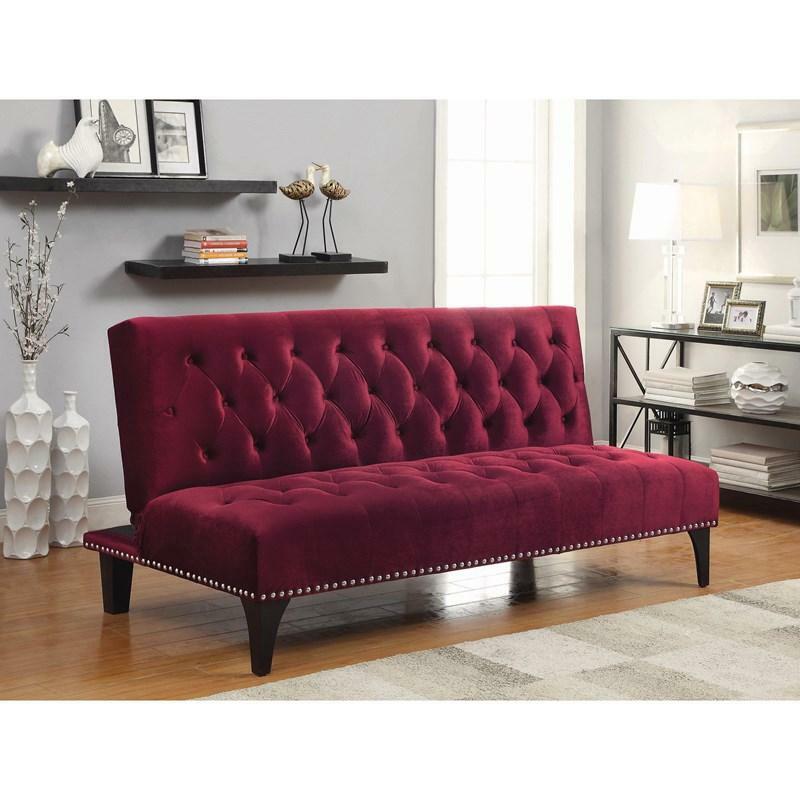 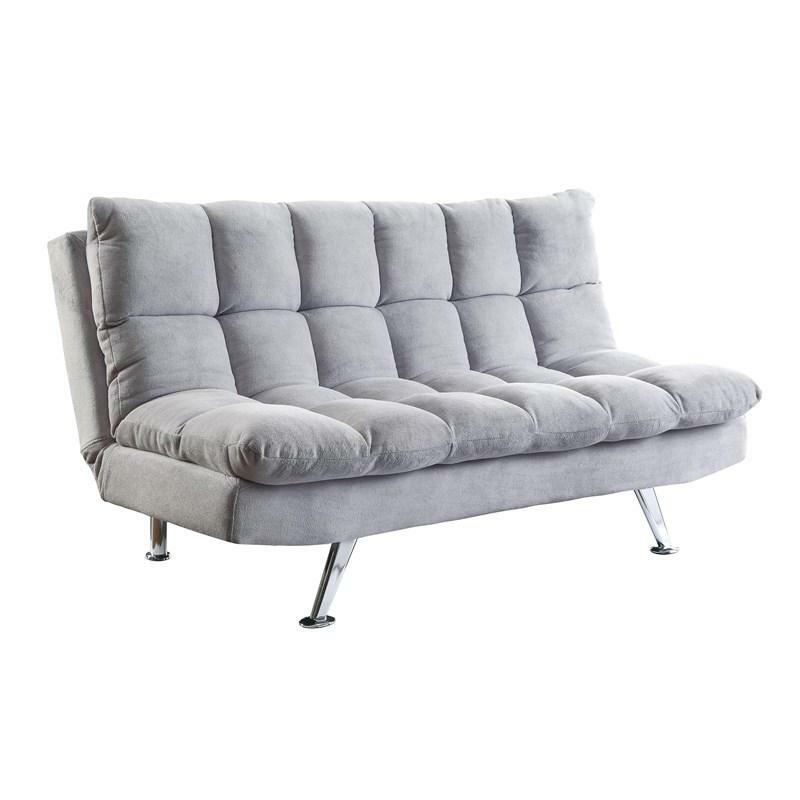 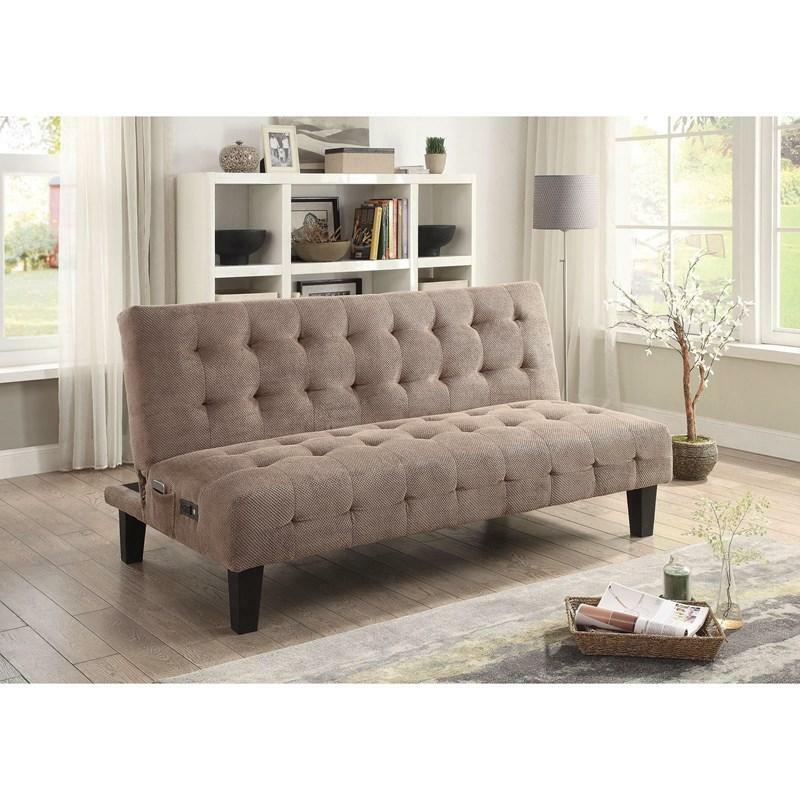 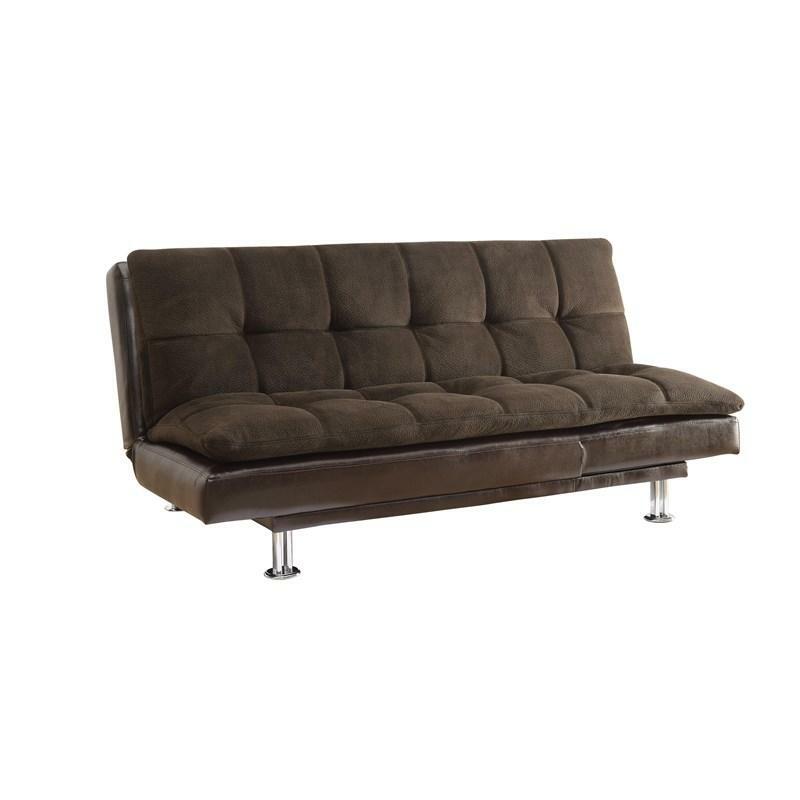 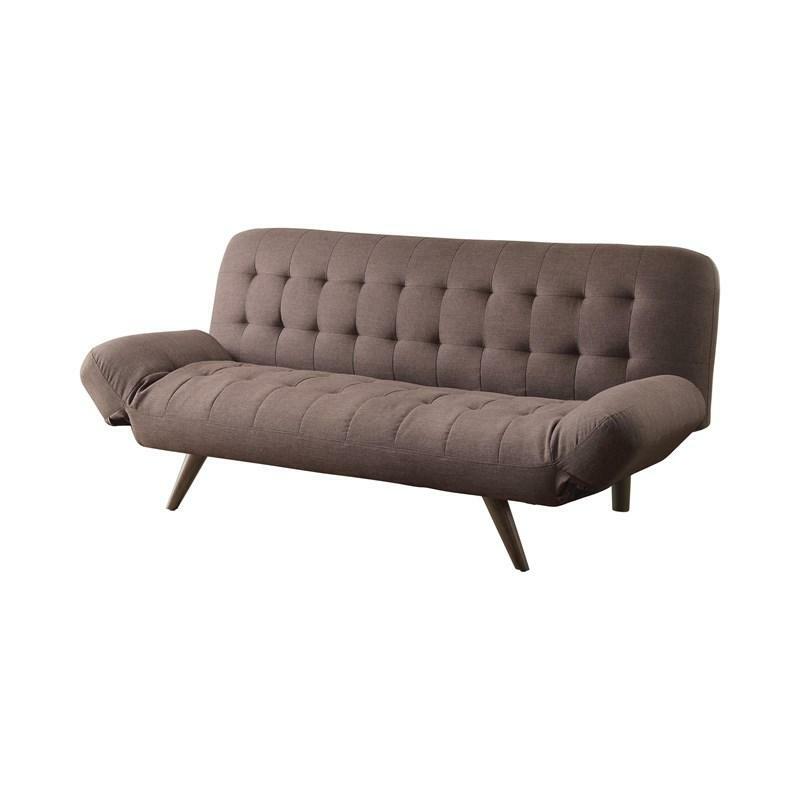 Decorated with deep tufting on the back and seat, and chrome nailheads, this Coaster Furniture sofa bed upholstered in plush velvet is sure to turn heads. 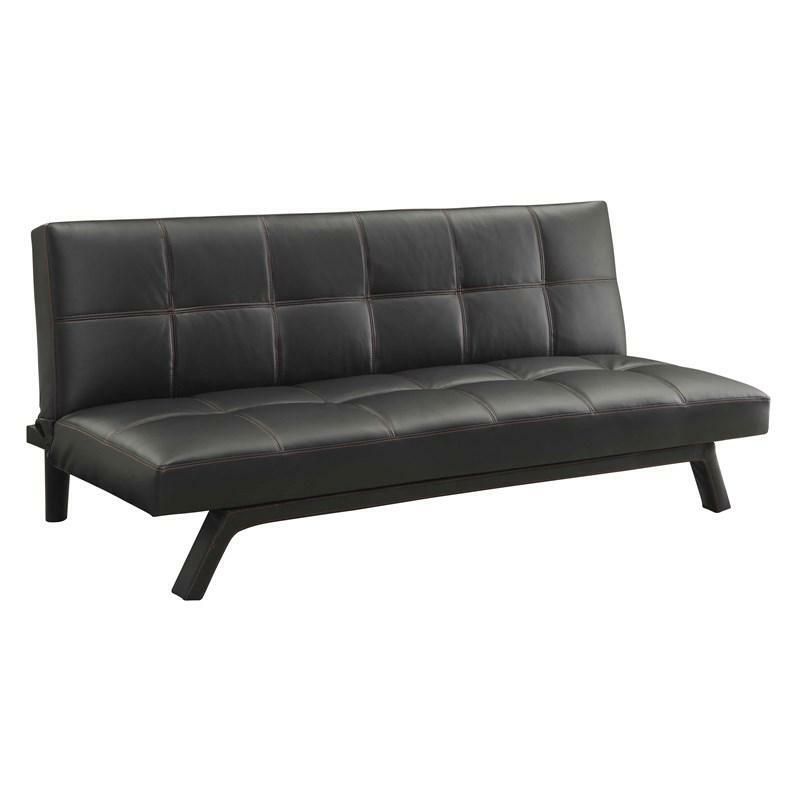 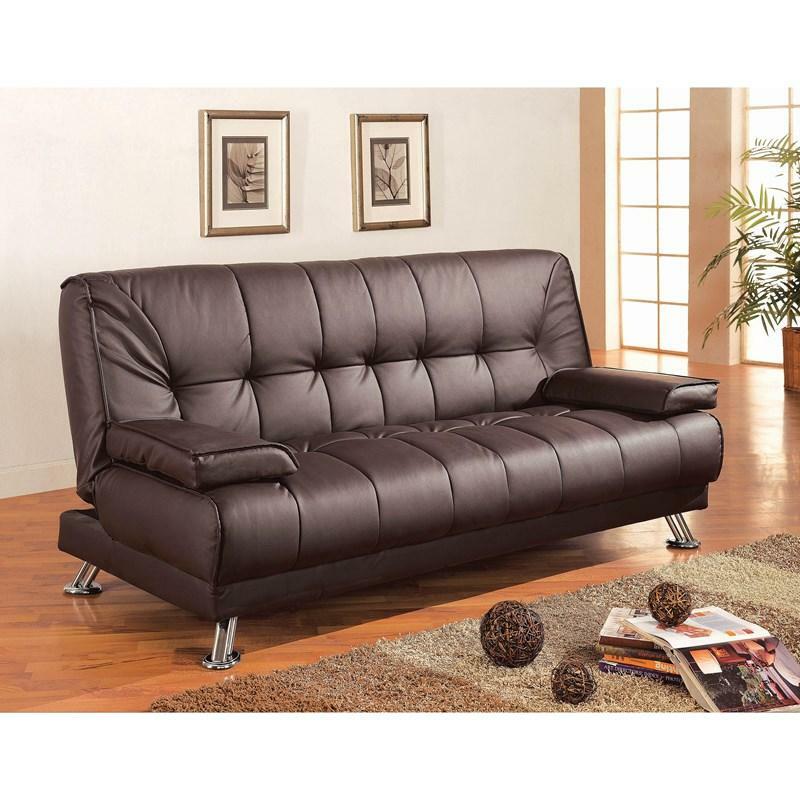 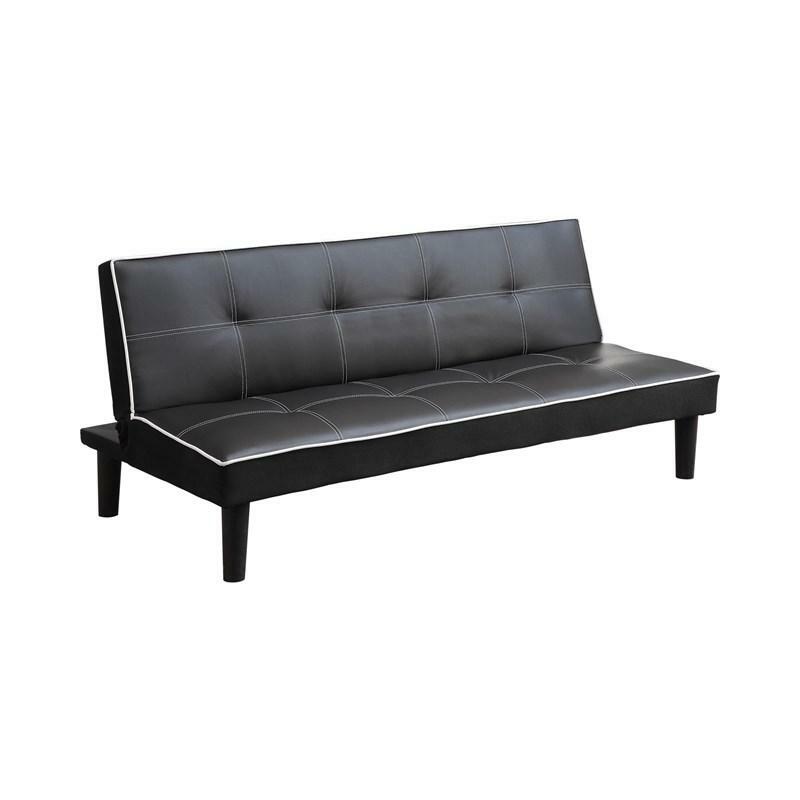 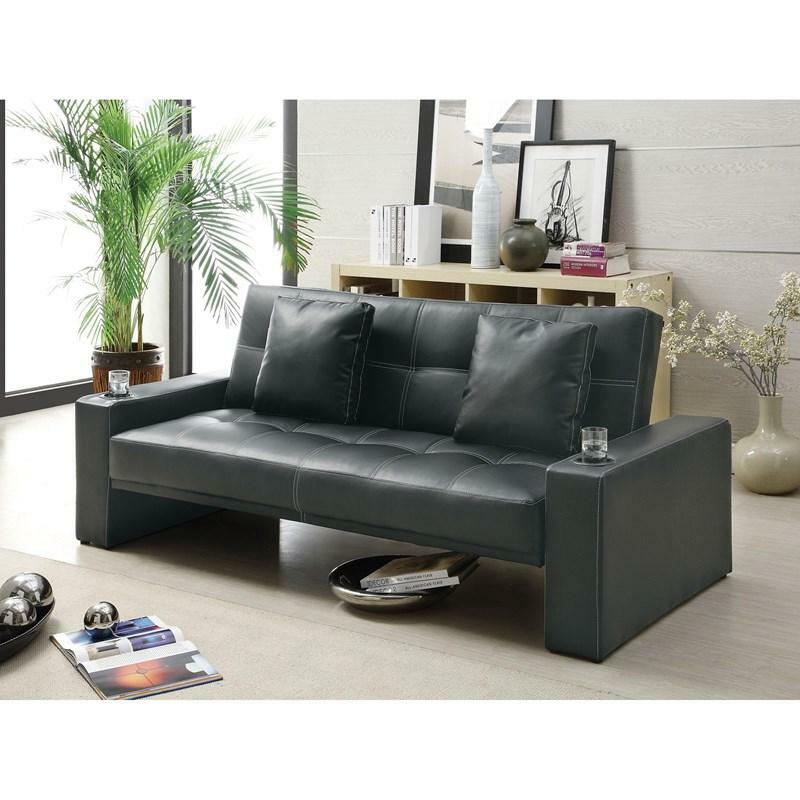 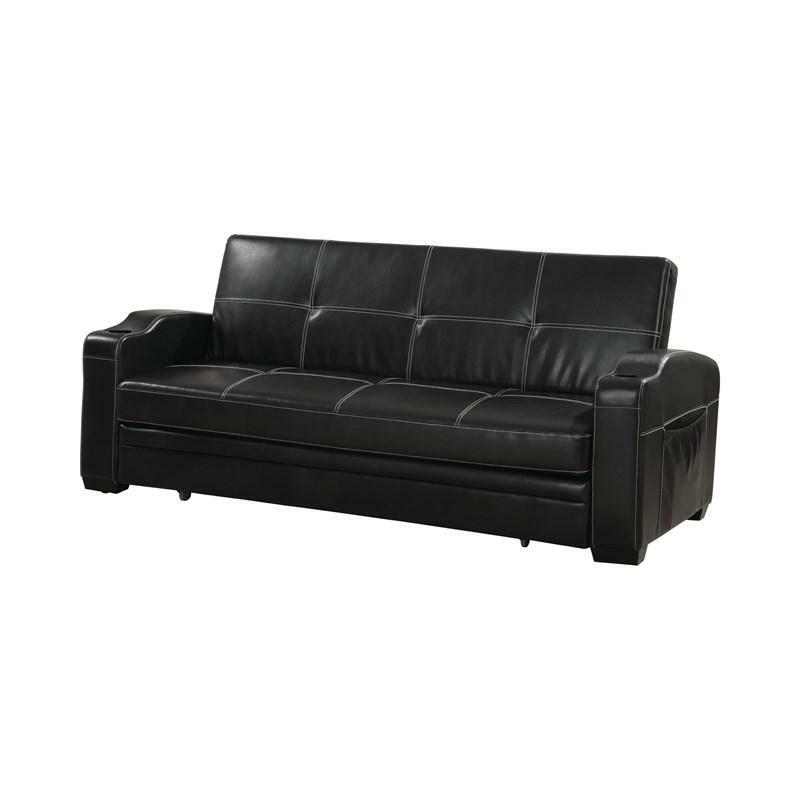 Legs are powder coated and seating surfaces can be easily converted from a sleeping area. 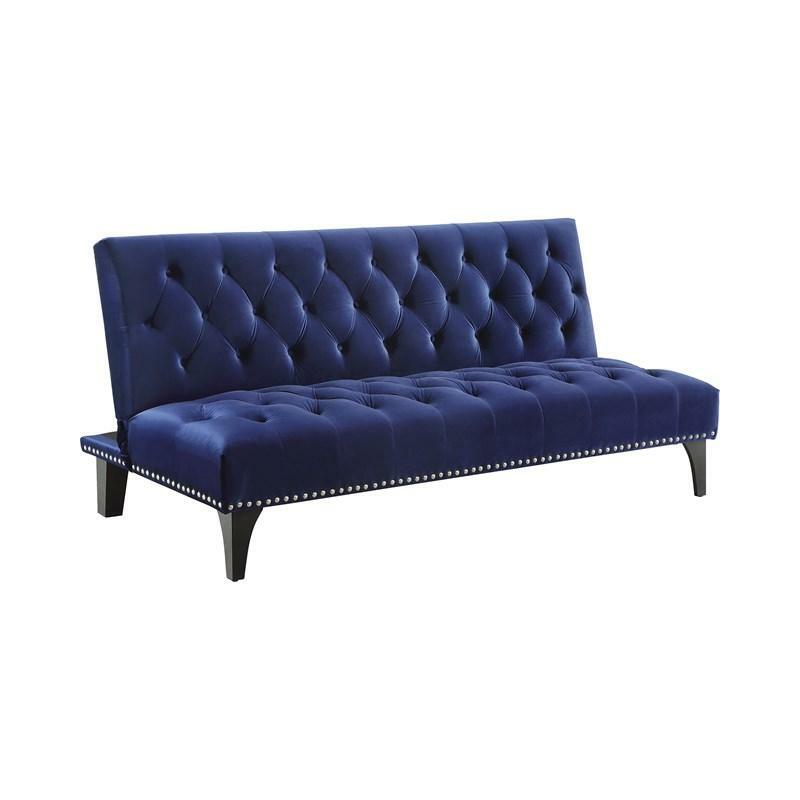 Available in royal blue, purple, burgundy, and black.